The nation’s largest Diverging Diamond Interchange (DDI) will open Sunday at Exit 213 off I-75 at University Parkway according to The Bradenton Herald. The interchange between I-75 and University Parkway (Exit 213 for those of us that drive up and down I-75 between the Tampa Bay area and South Florida regularly as I do) will be the first in the state to feature a concept that is sweeping the nation – The DDI. 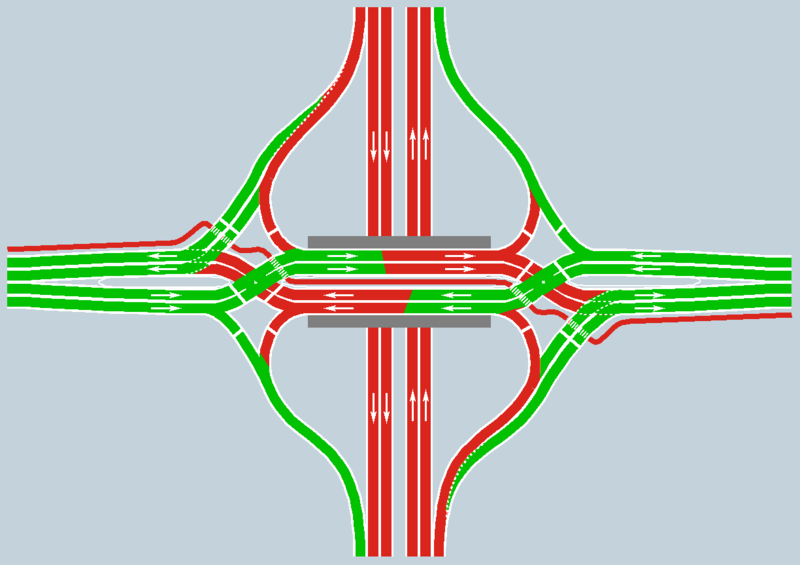 This new type of interchange has been proven to reduce congestion, accidents and improve traffic flow. Here is a full explanation of the DDI concept from FDOT.